Supplier Finder » Beverage Companies: USA » MSP, Inc.
Colorado STRAIGHT UP! Pure Water is owned by MSP, Inc. a Colorado native/women co in Colorado. Colorado STRAIGHT UP! 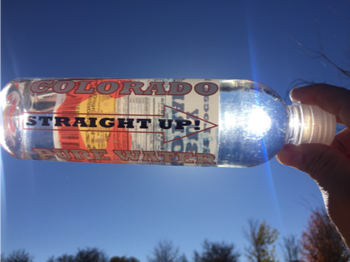 Pure Water is solely made for the Colorado market. Colorado STRAIGHT UP! Pure Water bottle is BPA FREE.